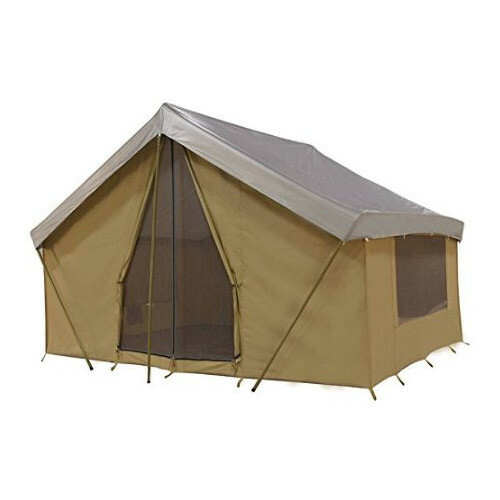 Canvas Camping Tent, Size: 8 * 8 sq. ft. / 9 * 9 sq. ft. / 10 * 10 sq. ft. / 12 * 12 sq. ft. / 14 * 14 sq. ft. Size 8 * 8 sq. ft. / 9 * 9 sq. ft. / 10 * 10 sq. ft. / 12 * 12 sq. ft. / 14 * 14 sq. ft.
Canvas Camping Tent are crafted from Waterproof Viscose Blend Canvas with Waterproof Processing. The Tent is Pitched on Pole (Bamboo / Steel Metal with Powder Coat Finish / Anodizsed Aluminium Pole). Ideal for Resort& Tourism Industry or canbe used for Construction site also. Centre Height Meter 2.5 Mtr.